Betfair sportsbook is part of the Paddy Power Betfair Multi-Channel sports betting and gaming company. The company was formed in 2016. The company has great pride in their operations where they operate a sustainable and responsible business which contributes positively to the communities they operate. Betfair is part of a four-member family that include other bookies like Paddy Power, TVG and Sportsbet. All these bookmarkers bring life to more than five million customers across the globe. Betfair minds about your security and this is the reason they have invested a lot in making sure that they comply with the strict regulations set by Malta Gaming Authority. This will make sure that you have the right bookie for your betting needs. For customers in TSE Malta LP and UK, the sportsbook has been licensed and regulates by the Gambling Commission. To avert problem betting, they have partnered with bodies like GamCare and Gambling Therapy to make sure that their bettors are aware of problem gambling practices and can learn on how to avoid it. You get all the assistance you need from the help section of the website. You will get frequently asked questions where you can get answers to common problems other punters go through the website. If you do not find a solution in the section you can choose to contact the support team through the telephone number. This option is available from 07:30 to 00:30. You can also reach them by messaging and this is the quickest way to reach when you are loged in. When you choose to be with Betfair, you are assured of betting in a myriad of markets with the best odds in the market. This will also be supported by promotions and bonuses to make your betting worthwhile. Some of the games you will be betting on include tennis, cricket, golf, horse racing, football, American football, Handball, Rugby Union, Boxing, Chess, Greyhound Racing, Basketball, Baseball, Athletics, Cycling, motorsport and Gaelic Games in a myriad of more. More to this, you can also make live bets on selected games like handball, volleyball, basketball, football, golf and tennis. With football, you will have a myriad of leagues to bet on and different types of bets to make. With football, you can bet on UK football, Euro Elite, English FA Cup, FIFA World Cup, UEFA Champions League, English League 1, English league 2, Italian Serie A, German Bundesliga and Scottish FA Cup. The different bet types you will make include Over/Under, Both teams score, or Double Chance. Live betting is a new trend and has proven to be fun for the bettor since you are able to make bets as the games progress. This makes it possible for you to make informed bets, as well as, change your bet even when the game is being placed. At Betfair, this is a provision that’s available for most of the games being provided at the bookmarker. This is available on the web version as well as mobile version of the site. With this promotion, you get to risk €5 or more. When you lose it, you will get a refund of the same amount of cash. Note that this will only apply on the first bet on the exchange. All you need to do is opt-in for the promotion and click on bet now to visit the Betfair exchange, make a bet of €5 or more and when you lose it, you will get it back in cash. Read through the terms and conditions before you proceed to take up the promotion. With this offer, you will get a risk free $30 bonus as a first time member. All you need to do is make a bet of $30 or more on the exchange and you will get a full refund if the bet is lost. This offer only applies to deposits made via PayPal or Card. This will only apply to your first exchange. You need to place this bet within the first seven days of opening your account. Betfair has another new customer offer and this is when you deposit $30 and get to play with $60. To qualify for this you need to commit $30 through the promo hub on the sportsbook. The buy-in and the bonus need to be wagered ten times within ninety days. The minimum odds that qualify for the wagering requirements are 1.6 and you only qualify if you make a deposit via PayPal and card. Do you want to be while on the go? This is possible at Betfair since there are mobile applications for the sportsbook. This means that you will conveniently place your bets while on a train ride, flight and even make live bets when with friends at the local pub watching your favourite match. Download the Betfair app for apple from the App store or Android version for your android mobile devicess. What are some of the things you’ll get when using the mobile applications? Betfair proves to be a reliable bookmarker and this has been proven by giving value to bettors and gamblers at large. Not only does Betfair provide betting services, they also have casino gaming, live casino gaming, slots, poker, and bingo. Betfair is a one-stop gambling arena! 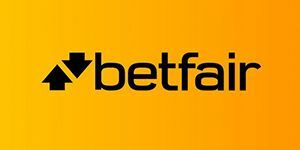 Betfair is a site you can trust with more than four million active users from around the world. This has also been proven by their strategic partnerships with football clubs like Arsenal FC and FC Barcelona. To get more value for your betting you get to make bigger win with Betfair exchange where you get to set your own odds and go head to head against other bettors. With Betfair, you are guaranteed more value and a wide array covering 50,000 and more monthly events. Becoming a punter is pretty easy. You are only required to fill in basic information like your legal name; date of birth, country of residence, address, telephone number and set your password. You will also be required to add your payment information since you will be creating a real money account. This will only take you less than fifteen minutes and your account will be set up and ready to start placing bets with the bookie. Before you complete the registration process, read through the terms and conditions to determine that this is the appropriate bookmarker for your betting needs.